Please contact us for any reason. We are here to help. 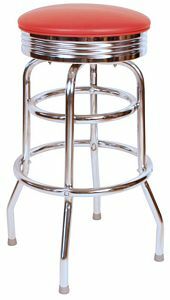 We can help you choose the bar stool or bar chair that is right for you. We can explain the difference between the different upholstery vinyl patterns and colors. We can send out vinyl upholstery swatches if you would like to see a couple different colors before you decide. We may even be able to help you find items not shown on this site. You can call us, email us, or fill in the form below. We welcome your comments, questions, and concerns! Please email those to sales@barstoolsandchairs.com. We always want to hear how our products work out for you!